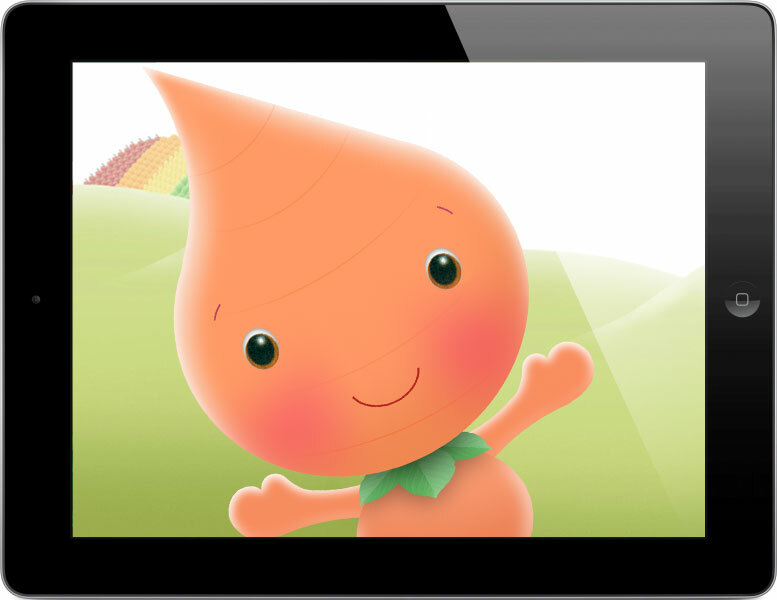 MIPBlog: How did you get into kids TV, and what have your biggest projects been? Traci Paige-Johnson: From a very early age, I knew I wanted to work in children’s television. I loved kids; I loved animation; and I loved the idea that you could teach and inspire millions of children at the same time. At Northwestern University in Chicago, I majored in TV and Film, with a minor in child development. I also began experimenting for the first time with cutout animation. They didn’t have any animation classes, but I created my own style, and for this reason, I like to refer to myself as a folk artist. It was this homemade style that resonated with Nickelodeon. After graduating, I worked as a producer and freelance animator for three years before interviewing at Nickelodeon for a position to help create the first ‘game show’ for preschoolers. That show became Blue’s Clues. > What are you working on at the moment, and what are you planning to take to MIPCOM? Lately, I’ve been developing something very close to my heart. It’s called Yummiloo, and it started as a true inspiration – a real bolt of lightning. After becoming a parent, I experienced first hand how difficult it can be to get kids to eat right. I also noticed that existing food and nutrition shows were overtly educational and preachy, a tone that was an immediate turn-off for my kids. It struck me that there was another, much simpler approach: rather than talk down to kids, model proper eating habits; pull kids in with irresistible characters and exciting stories, but set those stories in a world made entirely of beautiful, appealing, healthy food. Yummiloo is Willy Wonka’s world of pure imagination crossed with Richard Scarry’s Busytown, and its mission is to excite and delight kids, while setting the foundation for a lifetime of healthy eating. > You’re quoted as saying that if you were making Blues Clues today, you would have made it as a tablet app – why? Blue’s Clues was a real breakthrough when it first appeared. My co-creators and I had attempted to create an interactive experience for kids – where the host talked directly to the audience at home and pulled them into the narrative. And research proved that it worked. Kids talked back to the screen, calling out answers and pointing out clues. The really exciting thing was that this deeper involvement led to an increase in learning. Of course, Blue’s Clues wasn’t really interactive. The technology of the time limited us to an entirely linear experience. Though successful, the interactivity of Blue’s Clues was a bit of a trick. That’s why I’ve said that if I were making Blue’s Clues today I would make it as a tablet app. The interactivity possible with a tablet is not a trick. It’s the real thing. It’s almost as if Blue’s Clues anticipated the technology of today. > In 2011, Mind Candy’s Michael Acton Smith predicted that the top kids entertainment IPs would come not from TV, but from the Internet. To what extent do you agree with this? I agree, but only to a certain extent. I think, as time goes by, more and more top kids entertainment will come from the internet – and from apps. But I don’t think TV will ever be entirely eclipsed. If I were to make a prediction, I would say that TV and the internet will eventually merge into one thing. Over time, there will simply be less and less of a distinction between the two. My only hope is that this will lead to more freedom – and greater opportunities – for producers. And to better and more imaginative IP. >In this new context, how are producers’ roles evolving? Do they need to be more entrepreneurial, for example? Yes. In the media landscape of today, I believe that it’s essential for producers to think like entrepreneurs. Thinking strategically – thinking big picture – may be the only way to flourish in an environment of rapidly changing technology. This is something that has been hard for me personally to come to terms with. I’m not a businessperson – I’m a creative person. But the reality is that today, in order to be free to create, a creator needs to figure out how to fund, market, distribute and monetise her creations. That is the age we live in. Evolution is leaving your comfort zone – and believe me, I’m stretched – but if we want to survive as creators, we need to evolve. It’s also important to surround yourself with a team that supports your vision and achieve your goals…and that’s what we’ve done with yummico. >Similarly, what is the new role of channels, if producers can reach an audience without them? Is the term “Kids TV” even still relevant? Does it really matter? It’s “Kids Media” now, really, but to my ears media isn’t as friendly a word as TV. Kid’s TV channels will always be the strong trunk of the kids media tree. They are trusted brands with their roots deep in the ground and everything branches off from that…..at least for the next 5 – 10 years. We’re planting those “digitally forward” seeds now and hopefully with a lot of care and strategising…those seeds will grow and flourish into their own strong trees. >What do you think is the most avant-garde, trend-setting kids entertainment IP out there right now, and why? Right now I tend to be inspired by what is happening in the interactive space – it definitely seems like this is the place where true innovation is taking place. 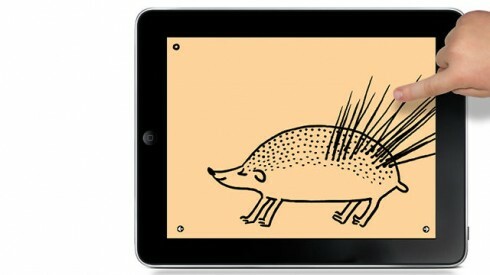 Sometimes it’s just great artistry, like Christoph Niemann’s new app Petting Zoo, beautifully drawn animals that respond to a child’s swiping. Two for slightly older kids really show what the tablet is capable of – Hakitzu, which teaches kids to code through a game where they build robot warriors, and Jorgits, which is an amazing interactive storybook app with an environmental message. Most of all though it is the apps that stretch the imagination and use the tablet as a tool to get kids interacting ‘outside’ the screen that really excite me. Alien Assignment for example, from The Fred Rogers Company which gets kids taking photos in their environment to help aliens get back to their planet, or SquiggleFish, where kids are encouraged to draw and color fish (with real pencils and pens on real paper), then scan them in to ‘swim’ in the app. I also like Drawnimal, where kids draw the outside parts of animals (whiskers, ears, etc) around the iPhone or iPad before it shows you the animated face, and Puppet Workshop, where kids start with a digital sock and then decorate it with all kinds of things, then put it on a background and take a picture of it. 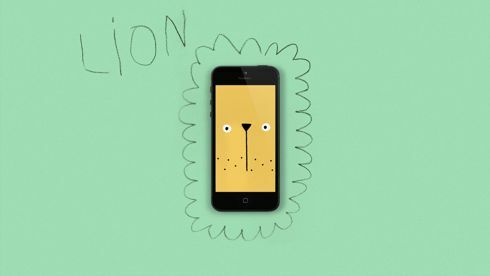 Apps that inspire a child to go do something in the real world – now that’s avant garde! This is the latest in a series of posts exploring the present and future of Kids TV, in the run-up to MIPJunior & MIPCOM 2013. Traci Paige-Johnson will be back on MIPBlog before this October, and will be speaking at MIPCOM. Mike has spent over 16 years exploring the multi-platform market working with producers and broadcasters to develop innovative cross platform formats, from Bafta nominated kids’ game-shows to online dramas with shops and mobile virtual worlds. Most recently, Mike worked for Pact. the trade association for independent content makers, helping shape policies with the team there and focusing on the needs of the digital sector. Over the years Mike has worked for a number of innovative content companies including Somethin Else, So Television, Illumina and Bomb productions where he helped produce multi-platform game shows, documentaries and interactive dramas. Mike served on the board of Northern Fim and Media, has been a judge and consultant at the Rose D’Or International Media festival, A BAFTA and RTS judge and on advisory groups for BBC Online and Skillset. An accomplished speaker, trainer and teller of tales about the digital market.